DiagProg4 diagnostic tester is an innovative diagnostic equipment used for diagnostics, repair, programming car modules such as Airbag sensors, ECU, odometers, Anti-lock Braking System pump (ABS) and many more. DiagProg4 (DP4) professional diagnostic tester, is the fourth generation device from DiagProg series which offers maximum flexibility and comfort while maintaining easy of use. DiagProg4 diagnostic tester is innovative diagnostic equipment used for diagnostics, repair, programming modules such as Airbag sensors, ECU, odometers, Anti-lock Braking System pump (ABS) and many more. DiagProg4 diagnostic tester can read and erase DTC’s errors, reset engine oil inspections as well as clear accidents and make language alteration. The best and most popular DiagProg4 diagnostic tester function is instrument cluster diagnostics and repair on a wide range of supported vehicles. DiagProg4 also allows to program electronic modules to vehicles after replacement or accident. Worth mentioning is the fact that DiagProg4 can save you a lot of time and money because a lot of functions can be accessed via OBDII connection ensuring easy, fast and safe usage. 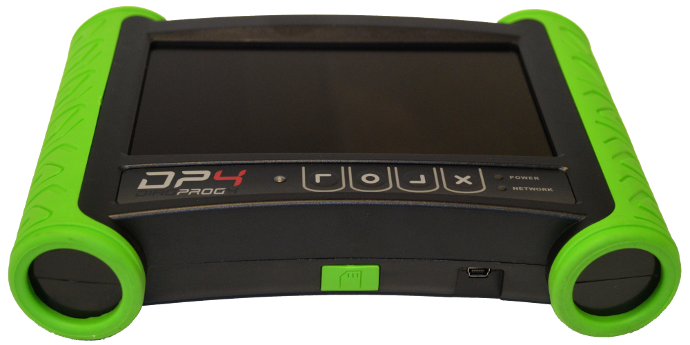 DiagProg4 diagnostic tester is the most advanced and powerful automotive diagnostic tool currently available on the market. Easy, fast and safe programming or wide range of vehicles. The configuration of parameters (e.g. new menu language, new module installation).